MIGNONNE: Mignonne Décor featured in SF Apartment Therapy! Mignonne Décor featured in SF Apartment Therapy! 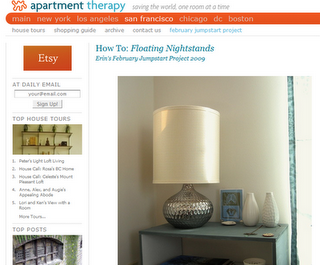 We were delighted to have SF's Apartment Therapy visit our shop and feature an article concerning our new location. Some great photos of our new digs were included ,,, and a discussion of our furniture design and repurposing services. Just CLICK HERE to read the article! Thanks for the support, we appreciated the great response! couldn't stop at just one!